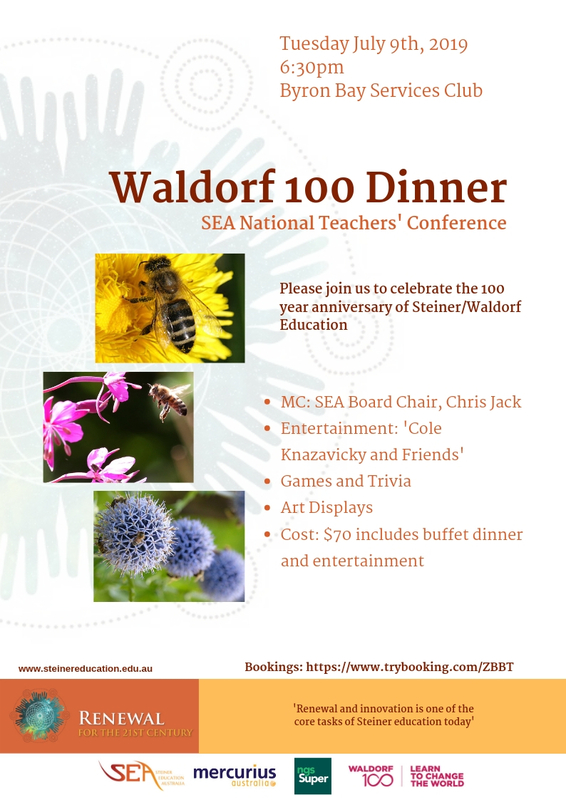 SEA is delighted to announce the program for the 2019 National Teachers’ Conference, to be held at Cape Byron Rudolf Steiner School, 8-11 July, 2019. Please click on the tab below for more information. Lectures will be presented by Peter “Muraay Djeripi” Mulcahy, Waiata Telfer, Shelley Davidow and Valentin Wember. To find out more information about the conference presenters, and lectures please click here. All workshops at the 2019 National Teachers’ Conference will be offered as a series. Participants are expected to attend all workshops in that series. At the time of publishing SEA event speakers, topics, venues, times etc. are correct. In the event of unforeseen circumstances, SEA reserves the right to alter or delete items from the program. Conference Registration is now open. Please click on the here, or on the Registration Tab below for more information.